Resistance tubing from Lifeline, taken to a new level of quality for the professional. These super-durable cables maintain maximum resistance longer, so you don't need to replace them as often. 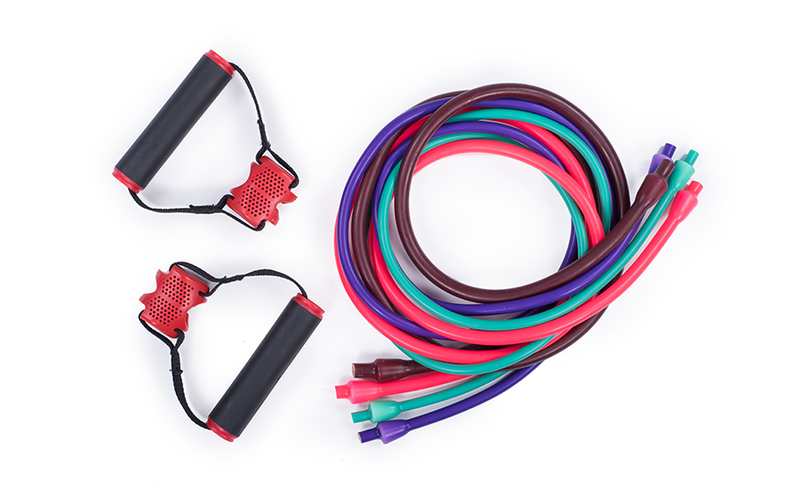 And we love the removable handles - just quickly switch cables when you're ready for a different resistance without having to buy new handles. Four levels of resistance, color-coded, in five-foot (152 cm) lengths. Fitness can't get more portable!